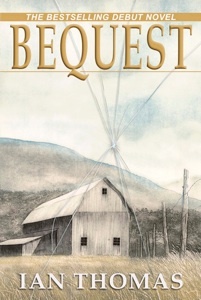 Bequest is a Capra-esque story that pits ordinary folks from a rural community against a corrupted political structure and a malevolent corporation. A Canadian-American university professor returns home for his father’s funeral in up-state New York. While coming to grips with his own loss, he finds himself fighting for his life and the lives of those he loves. It would become all too clear that some less than honorable individuals have been attracted to the new “Gold Rush” of waste management and no one should stand in their way. 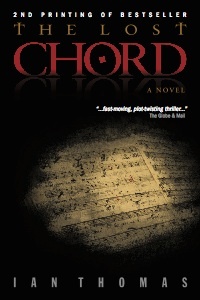 In 1847, a Franciscan monk stumbles on a musical means whereby consciousness can freely leave the body. The problem is … getting back. Not only does his work place many lives in jeopardy in his own time, but when his manuscript surfaces in 1989, the trouble begins all over again. There is a good reason why some of the greatest minds from Plato to Shakespeare have pondered the spiritual nature of music.